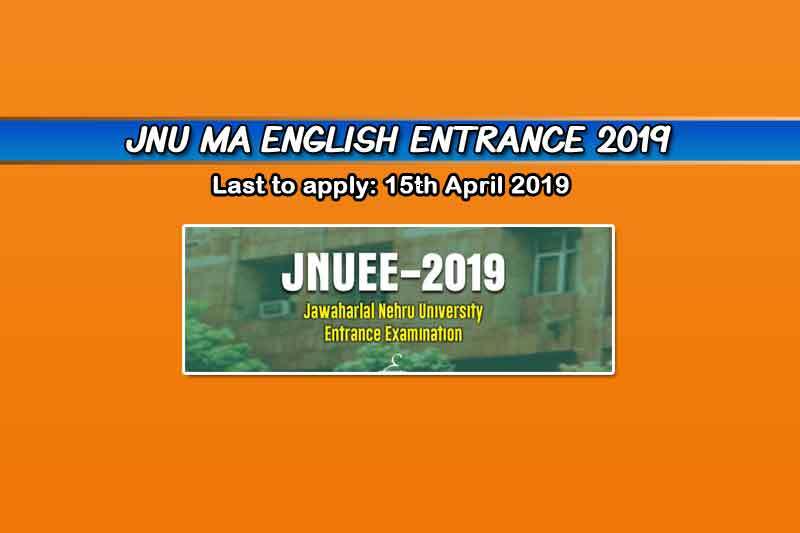 JNU MA English Entrance 2019 registration has started from 15th of March (Friday). The last date to registration and application is 15th of April 2019. The MA English course at JNU is one of the most popular courses of JNU. Moreover, the English department of JNU is ranked as one of the top 100 English departments in the world by QS World University Ranking. Furthermore, JNU attracts a lot of applicants across India, and also foreign applicants, many of whom apply for MA English course. Therefore, the competition is high, and also seats are very less (39 seats only). We have made available all relevant information of JNU MA English Entrance 2019 in this article. We have covered JNU MA English Entrance exam pattern, syllabus, important dates, question papers, and much more. If you have a question regarding the application process for JNU MA English Entrance 2019, then please feel free to comment below on this article. There’s no age bar for JNU MA English Entrance exam. OBC have 10 percent relaxation in the qualifying examination. SC, ST, and PwD only required to have passing marks to appear for the entrance exam. In the nutshell, the syllabus is the history of English and Literary Criticism and Theory, but the major focus is on the Indian English, and Later ages from the 18th century. The JNU MA English Entrance previous question papers are available with us – from 2014 to 2016. UGC NET 2019 Notification - You need to read this before you apply!